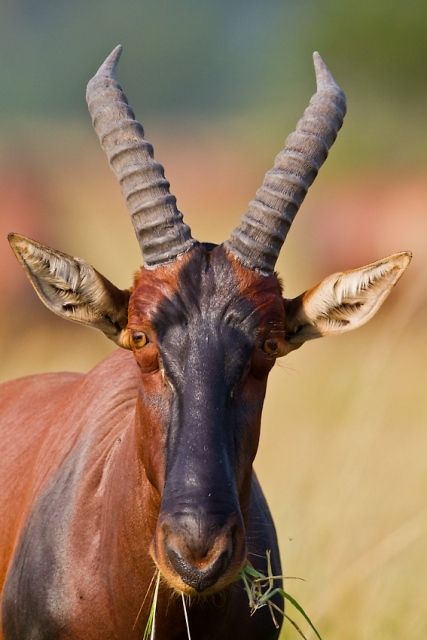 Mountain Gorillas, Uganda is the only safari destination whose range of forest primates is as impressive as its selection of plains antelope. This biodiversity is attested to by Uganda’s status as by far the smallest of the four African countries whose bird checklist tops the 1000 mark! 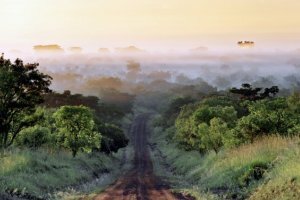 The largest part of the country forms a hilly, green plateau of the African continental shelf and is over 1000m in altitude. 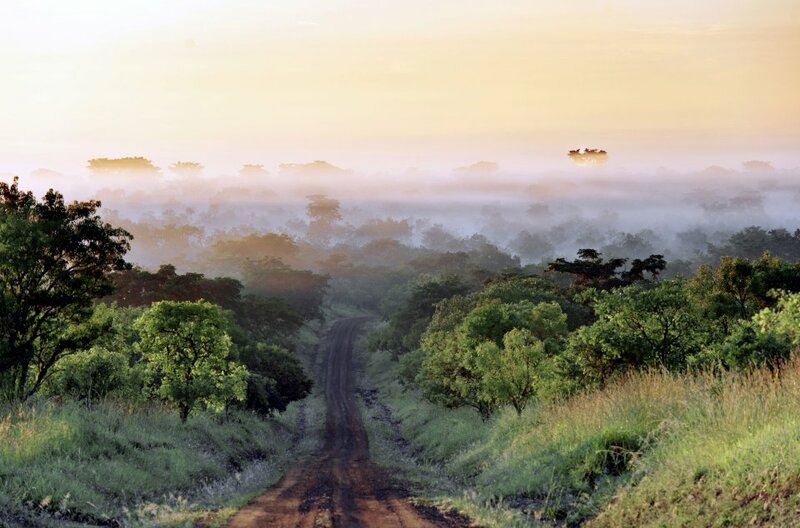 On the Western border of Uganda runs the Central African rift valley. 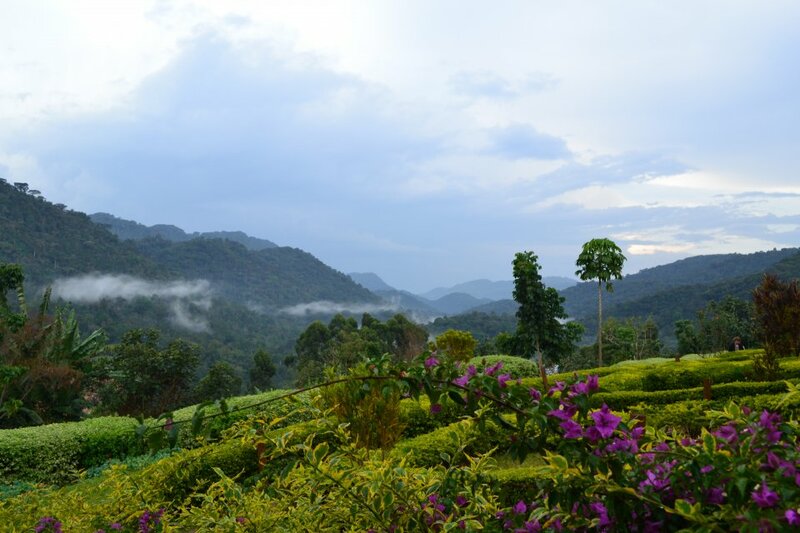 Throughout the year Uganda receives abundant rainfall, so the country is always green. 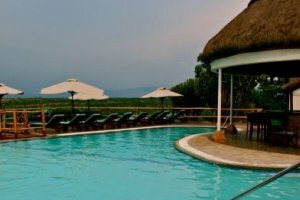 There is more to Uganda than wildlife;- The mighty River Nile, offering some of the World’s most thrilling 5- grade white water rafting, punctuated by the Spectacular Murchison Falls, The impressive snow-capped peaks of the Rwenzori, which provide a challenge to even the most dedicated mountaineers, The Virunga Volcanoes and Mount Elgon, both of which offer highly rewarding hiking opportunities through un imaginable highland scenery, Lake Victoria, the world’s second largest fresh water lake, as well as several crater lakes that stud the rift valley floor and escarpment around Fort Portal. 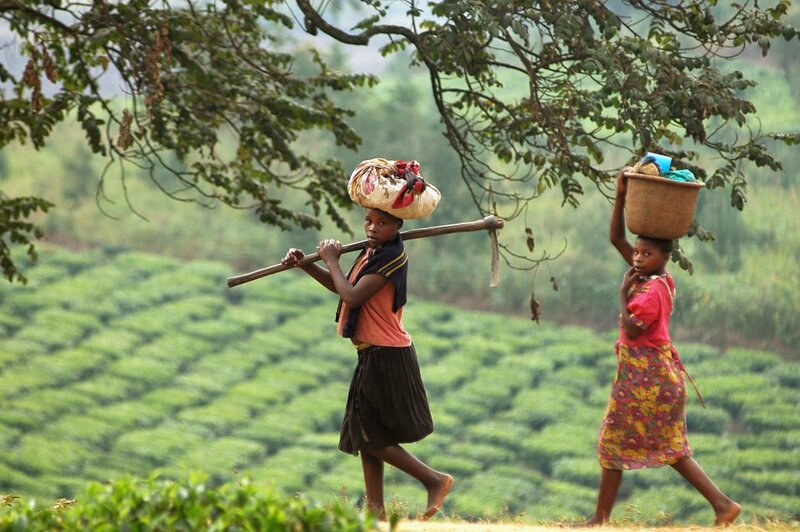 Derived from the traditional hospitality, the people of Uganda are referred to as "Africa's friendliest people." English is the official language of Uganda but also Swahili is commonly understood. Wherever one goes, whether local or foreigner, you are greeted with a friendly smile. Uganda is a country with many diverse but rich, unique cultures. In pre-colonial times the country was divided into kingdoms and chiefdoms stemming from 4 Ethnic groups. Bantu, which is the largest group originated from the Cameroon highlands, the Nilo-Hamites from the Ethiopia, the Luo from southern Sudan and the group from West Nile sometimes referred to as the sudanic group. The different Ethnic groups form close to 62 tribes with each Tribe having features that vary like the traditional names, ceremonies, dances, staple foods, economic activities, languages, the dressing, art and crafts, just to mention but a few. The currency in Uganda is the Uganda Shilling. The current price is approximately 1 EUR per 3.500 Uganda Shilling. 1 US Dollar per 2,600 Uganda Shillings. You can change all major currencies at banks and bureaux de change, the rates often fluctuate. Note that you get a better exchange rate for larger bills. Generally US dollars are widely used as an alternative to the local currency. One should carry US dollar bills series that are not older than the year 2003. To tip in Uganda is generally not "mandatory", though it is often taken and appreciated. You may consider 5%-10% of the bill, but generally as you may feel. All clothing is acceptable but descent non-revealing clothing is generally worn. In the evening it can get cold, so you may consider warm clothing. Being an equatorial region, Uganda has mosquitoes. Therefore it’s advisable to wear clothes that cover most of the body (long-sleeved shirts) especially in the evening. It’s recommended to carry appropriate mosquito spray you everywhere. Although the sky is often covered, the sun can be strong thus a hat or cap is recommended. For your trekking we recommend a firm and comfortable footwear. Traveling within Uganda is safe. Caution should be taken though for petty pick-pocketers as is the case everywhere. As a traveler you can move freely in all the villages as well as Kampala without problems. However, you should not be tempted to disregard applicable safety precautions in developing countries: valuables should be kept in bags, carry your money on you. Though Uganda is at the bottom line in terms of crime, precaution should always be taken. In the capital, Kampala you can almost get everything you know from home. There are several large shopping centres of western style. In the other cities there are also larger supermarkets available. You may even find similar brands and products in the shelves just as home. Highly recommended are the several small local supermarkets, where you can purchase local products at much cheaper prices. You will find these shops abound in all the villages. You will also find numerous stalls of the local population with fresh fruits, vegetables, spices, Gnuts, etc ... you can get a wide selection and freshness of tropical fruits such as pineapples, bananas, mangoes, pawpaw, oranges and much more in excellent quality for just a few cents. International banks like Barclays, Standard Chartered Bank, Citibank are represented by several branches in Kampala and other major towns. With a credit card (preferably VISA s) and the PIN number you can obtain cash. At banks and near shopping centres, there are also ATM machines, where you can also get cash. Outside of the major towns it may be difficult. 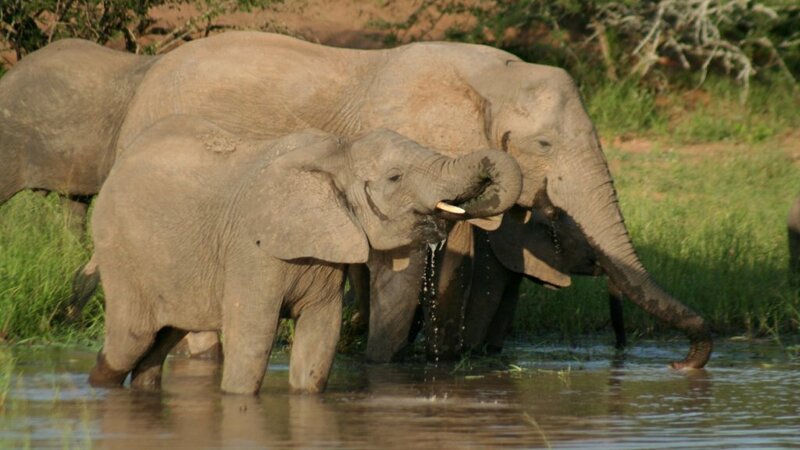 Uganda has an equatorial climate, with daily temperatures varying between 20°c and 27°c and a minimum average temperature of 18°c, though the temperatures can sometimes dip to 12°c. The highest temperatures are usually in the north of the country while the lowest occur on the peaks of Mount Rwenzori. Most parts of Uganda receive an average annual rainfall of between 1,000mm and 2,000mm, with the North having some areas with the average annual rainfall as low as 100mm. There are two dry seasons (December to February, June to August); semiarid in northeast. Allthough the rainy months are traditionaly April, May as well OPctober and November, the road in Uganda can be muddy throughout the entire year. During the rainy months, lower rates are avialble incoluding disoucnted Trekking Permits. 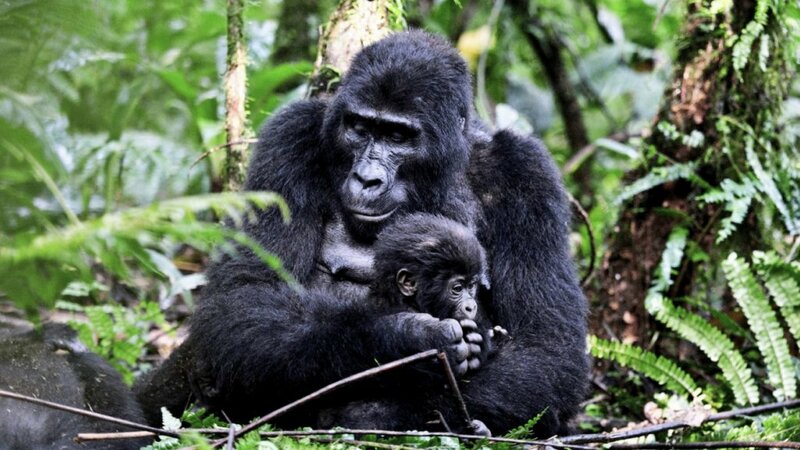 Join us on a journey of discovery like no other, where for few days you can step into the privileged world of earth's greatest explorers and track the Mountain Gorillas in the Mist... Uganda is one of Africa's top destinations and is also the home of the last remaining Mountain Gorillas. Your adventure includes accommodations in cozy lodges that will make you feel at home. 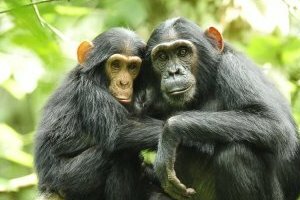 A journey by private car featuring Entebbe, Kibale Forest National Park, Queen Elisabeth National Park, Bwindi Impenetrable National Park, Bhuoma, Lake Victoria & Ngamba Island Chimpanzee Sanctuary. 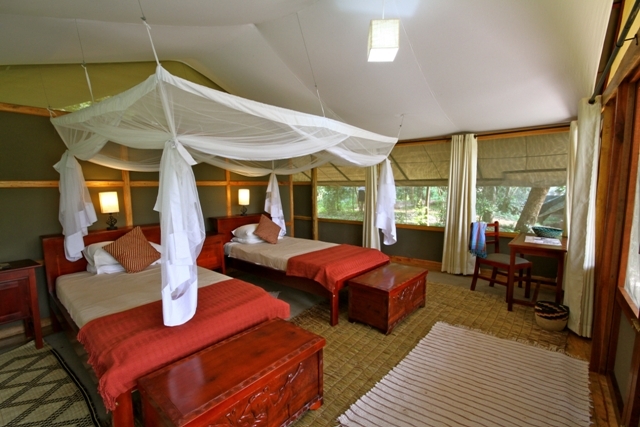 Framed by the spectacular Rwenzori Mountains, the Mweya Safari Lodge is a study in nature-inspired luxury. Enjoy an abundance of amenities, activities and spellbinding views when you visit this stunning retreat. 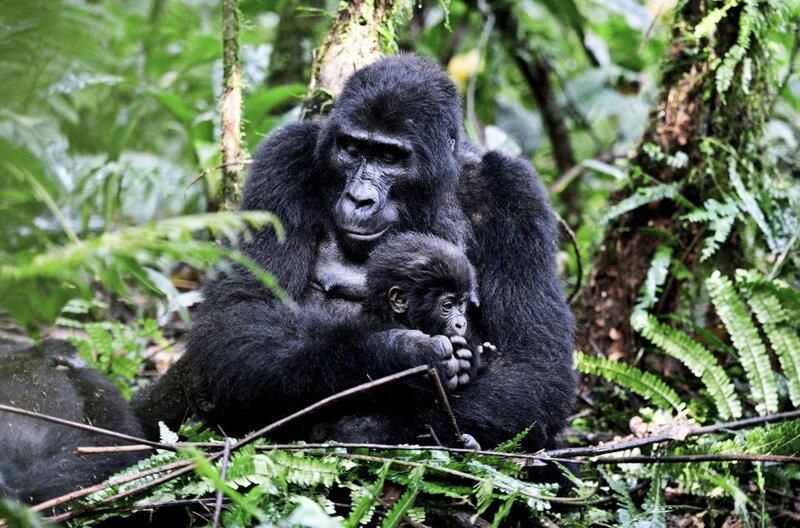 A beautifully rustic retreat set in Bwindi Impenetrable National Park, the Buhoma Lodge is a haven for those looking for a comfortable base for watching mountain gorillas.